The Vols have beaten better Kentucky teams. John Wall and Demarcus Cousins in 2010. A Final Four squad with Jamal Mashburn in 1993. 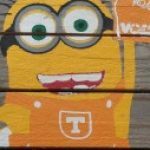 But I’m not sure a Tennessee win over Kentucky has ever meant as much; I know it hasn’t in my post-Ernie/Bernie lifetime. A lot of it is a No. 1 seed, which would be the program’s first. We’ve still got to get through Auburn and the selection committee tomorrow, but the Vols have to be considered a favorite to earn one now. Tennessee was 5-4 against Kentucky under Rick Barnes coming into today. They won at Rupp last year, which is just below the Elite Eight and SEC Tournament titles in frequency around here. That one helped secure an SEC title and solidify this group of players on the national scene. And it really was the national scene today: the biggest game in the 3:30 PM window, in what felt like a play-in for a No. 1 seed. And Kentucky was good. March will decide how good, ultimately, by UK’s own standards. But all five starters scored in double figures, and Kentucky shot 53.6% from the floor two weeks after making only 14 shots in Knoxville. And the Cats shot 5-of-11 (45.5%) from the arc. This year Kentucky was 24-0 when shooting at least 28%; the last time they lost shooting at least 45% was at Texas A&M in overtime three years ago. Kentucky went up eight with 2:58 to play. It didn’t feel familiar, because nothing about the weekend in the SEC Tournament is familiar for us yet. But it didn’t feel out of place: good game, good effort from Tennessee, let’s go to the bracket and try to win our way there. The SEC Tournament isn’t Rupp, but Kentucky isn’t the away team either. And in the kind of environment we saw today, good Kentucky teams are expected to get the best of good Tennessee teams. But this Tennessee team is something more. We’ve seen it all year. And it never looked better than today. PJ Washington was great today, 16 points on 6-of-11 shooting in only 20 foul-plagued minutes. The tip he missed in the final seconds reminded me of Tim Duncan in Game 7 of the 2013 NBA Finals. You just expect him to make that shot. And he missed. Down the stretch, Kentucky’s best players didn’t convert. Instead, Tennessee’s best players made the best plays in the best win of the best year. Admiral Schofield adding to his legend. Grant Williams taking Reid Travis with an and-one, a corner three, and a monstrous offensive rebound. Lamonte Turner doing what Lamonte Turner loves to do at the end of games. Jordan Bone grabbing that last rebound and going 4-for-4 at the line. Our old RTT colleague and friend of the blog Chris Pendley likened it to a Hulk Hogan performance at the end of the match: take your best shots, but in the end we simply won’t sell them. Right hands, big boot, leg drop. 1-2-3. Whatcha gonna do. There is so much that’s still new in this season. 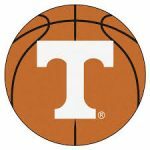 Having Tennessee’s best be better than Kentucky’s on a neutral floor in a year when both are battling against each other for a No. 1 seed? Having it be Tennessee’s players that make all those players in a game like this at the end?